ORLANDO, Fla (December 5, 2014) – SeaWorld Orlando announces its 2015 schedule of events and festivals, including the all-new Praise Wave®, a two-Saturday series that makes the park come alive with the hottest names in Christian music. Events and concerts are included with park admission. The best way to experience all the fun, year round, is with an Annual Pass or Fun Card. 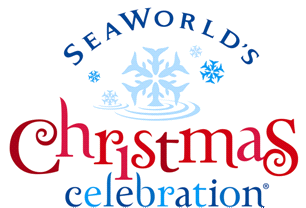 Get more details at SeaWorldOrlando.com. An immersive event in every sense of the word, Wild Days connects guests to the wild and wonderful world we all share. Wild Days features excitementing and interactive shows, giving guests the opportunity to meet the leaders in the world of animal rescue, rehabilitation, preservation and conservation. Experience a day of fellowship and fun at SeaWorld™s all-new Praise Wave. Enjoy SeaWorld’s thrill rides and amazing shows and attractions, and mingle and meet in an atmosphere filled with Christian friendship. Catch live performances by the hottest names in Christian music. The evenings close with an extraordinary, uplifting Shamu show, created just for Praise Wave. With special discounts and offers for America™s heroes, including all enlisted men and women and retirees from the military, Central Florida™s favorite BBQ festival is now even better! Bands, Brew & BBQ features live concerts from top classic rock and country bands and artists, the tastiest BBQ from the areaâ€™s best local smokehouses, plus SeaWorld™s own Sweet & Smokin™ Barbecue. Proceeds from this event benefit the USO, an organization that has been lifting the spirits of Americaâ€™s troops and their families for more than 70 years. We’re thrilled to partner with SeaWorld and we appreciate their longstanding dedication to honoring the troops and retirees. Working together during Bands, Brew & BBQ, we can make a difference in the spirits of many service members and their families,â€ said Roland Emerton, executive director of USO Central Florida. SeaWorld Orlando’s Viva la Musica is a fiery Latin festival for the entire family. Enjoy four weekends of hot concerts by the most popular Hispanic performers, and savor authentic cuisine by SeaWorld’s own executive chef, Hector Colon. There’s a wave of summertime excitement sweeping across SeaWorld Orlando as we celebrate 50 years of family fun.Laugh to a new sea lion show, get thrills on roller coasters like Manta® and Kraken® – and chills at Antarctica: Empire of the Penguin®. Top off the evening with rides under the stars, a special nighttime Shamu show and a fireworks finale that fills the sky. Waves of holiday spirit splash over the park during SeaWorld’s Christmas Celebration Guests of all ages enjoy stunning live shows inspired by the natural world, journey to the North Pole on THE POLAR EXPRESS Experience, and share a smile with the playful penguins at Antarctica: Empire of the Penguin®! The best way to take in all of SeaWorld’s events is with an Annual Pass starting at only $13 per month with EZpay. An Annual Pass offers unlimited admission with no blackout dates, free parking and discounts on food and merchandise.Â SeaWorldâ€™s Fun Card also is available. Pay for a day and play all year with unlimited admission and no blackout dates. Event dates and times are subject to change and/or cancellation without notice. Additional charges apply to all food items. Seating capacity for each concert is limited and is on a first-come, first-served basis. Other restrictions may apply. For more information, visit SeaWorldOrlando.com. SeaWorld Parks & Entertainment is a leading theme park and entertainment company delivering personal, interactive and educational experiences that blend imagination with nature and enable its customers to celebrate, connect with and care for the natural world we share. The Company owns or licenses a portfolio of globally recognized brands including SeaWorld®, Shamu® and Busch Gardens®. Over its more than 50-year history, the Company has built a diversified portfolio of 11 destination and regional theme parks that are grouped in key markets across the United States, many of which showcase its one-of-a-kind collection of approximately 86,000 marine and terrestrial animals. The Company’s theme parks feature a diverse array of rides, shows and other attractions with broad demographic appeal which it believes deliver memorable experiences and a strong value proposition for its guests. In addition to its theme parks, the Company has recently begun to leverage its brands into media, entertainment and consumer products. SeaWorld Parks & Entertainment is one of the worldâ€™s foremost zoological organizations and a global leader in animal welfare, training, husbandry and veterinary care.Â The company collectively cares for one of the largest animal collections in North America and has helped lead advances in the care of animals. The company also rescues and rehabilitates ocean marine animals that are ill, injured and orphaned, with the goal of returning them to the wild. The SeaWorld rescue team has helped more than 24,000 animals in need over the last 50 years. SeaWorld Parks & Entertainment is a wholly owned subsidiary of SeaWorld Entertainment, Inc., a publicly traded company (NYSE: SEAS). Copies of this and other news releases as well as additional information about SeaWorld Entertainment, Inc. can be obtained online at SeaWorldEntertainment.com.Â Shareholders and prospective investors can also register to automatically receive the Company’s press releases, SEC filings and other notices by e-mail. SeaWorld Orlando recently introduced Express Dine at its Seaport Pizza eatery to help cut wait times, especially during the busiest time of the year. An industry-pioneering feature, Express Dine is solely accessible from the SeaWorld Discovery Guide park app, furthering the app’s interactivity and maximizing its technology to allow guests to order lunch or dinner in advance. By accessing the SeaWorld app from their smartphone, guests have the option to select from any of Seaport Pizza’s family-style pizzas, salads and soft drinks from anywhere in the park. Following the order, guests choose their preferred pick-up time and can then stop by to enjoy their meal at their convenience. Express Dine is designed to maximize convenience for families by allowing them to plan their meals ahead of time in a fun, interactive and user-friendly way. With this new feature, families can expect shorter wait times so they can make the most of their day in the park. Seaport Pizza serves delicious pizza baked to perfection for rich taste and texture featuring only the freshest ingredients, including sun-ripened tomatoes, fresh herbs, pepperoni and sausage. This is a great one-stop-shop to satisfy every member of the family. The SeaWorld Discovery Guide mobile app saves guests time and increases their enjoyment through GPS-enabled interactive maps, real-time updates of show schedules and events, up-to-the-minute attraction wait times (with information on required heights), insider park tips, fun photo frames, and park notifications. The SeaWorld Discovery Guide app can be downloaded for free from the Apple or Google Play app stores. For more information, please visit SeaWorldOrlando.com. SeaWorld Press release. No time to rest for the SeaWorld Orlando Animal Rescue Team. The team, who is on call 24 hours a day, 7 days a week, is now caring for 72 cold-stunned Kemp’s Ridley sea turtles that arrived earlier this afternoon from Massachusetts. An overwhelming amount of sea turtles stranded themselves up and down the eastern coast due to last week’s severe cold weather. The juvenile sea turtles were originally rescued by the New England Aquarium and volunteers of the Massachusetts Audubon Sanctuary at Wellfleet Bay. The sea turtles were transported to Quincy, Mass., where they were re-warmed and stabilized by the New England Aquarium at their marine animal hospital until they were ready for transport. Our animal care team, along with several other agencies, met the Coast Guard at the Orlando Executive Airport, who flew 193 critically endangered Kemp’s Ridley sea turtles from Massachusetts to Orlando. The turtles are now on their way to SeaWorld Orlando, and other facilities, for further care. Sea turtle experts at SeaWorld will spend much of the night conducting full health examinations on each turtle to determine their health status. The goal is to provide a stable environment for the sea turtles to regain their strength and ultimately be returned as soon as possible. Kemp’s Ridley sea turtle are extremely rare and have been listed as an endangered species since 1970. A large decline in population of these turtles has been linked to egg harvesting in the 1960s and, more recently, oil spills along the Gulf of Mexico. Along with being one of the rarest sea turtles in the world, the Kemp’s Ridley sea turtle is also the smallest marine turtle. An adult usually weighs about 100 lbs. and measures 26-30 inches long. For more than 50 years, SeaWorld has helped animals in need – ill, injured and orphaned. More than 24,000 animals have been rescued by our experts. Be sure to stay up to date with the turtle’s progress by following us on Facebook, Twitter, Instagram and YouTube. Join the conversation with #SeaWorldCares and #SeaWorldRescue. All turtle rescue footage produced by SeaWorld under FWS Permit Number MA7701911. The Legend is back from his cruise, and Drew left for Jamaica. Clint quits his job and becomes a professional podcaster (does not make the show better). We talk about Kings Islands new ride, Wild Adventures new ride, Skline Attractions new ride, Toyko Disneylands new rides. We talk a lot about new rides. 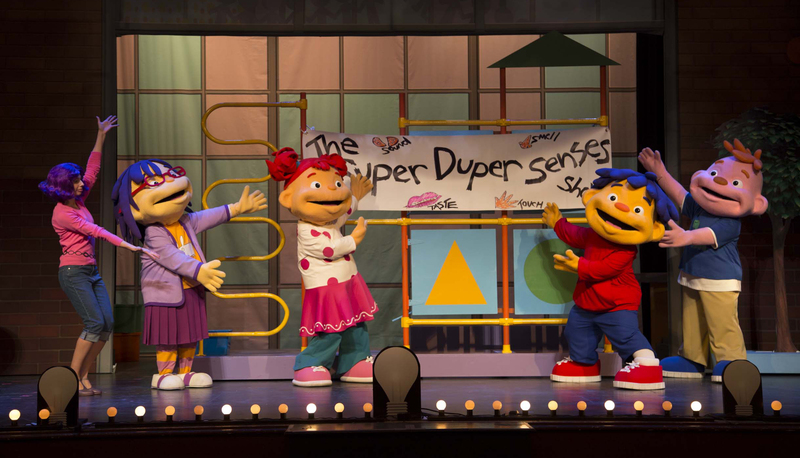 The popular PBS KIDS television show, Sid the Science Kid, is performing for one day only – Sun., Oct. 26 — during the last day of SeaWorld’s Halloween Spooktacular. Created by the imaginative minds of Michael Lewis (veteran Broadway performer and producer of ImaginOcean), John Tartaglia (creator and writer of ImaginOcean and Tony Award-nominated actor) and The Jim Henson Company, JIM HENSON’S SID THE SCIENCE KID LIVE: LET’S PLAY! is a live theatrical experience delighting kids and parents alike. Join Sid, May, Gabriela and Gerald as they come to Orlando to discover the excitement and curiosities of the world around them. This weekend is also the last chance for guests to experience SeaWorld’s Halloween Spooktacular. From trick-or-treating to bubble-filled dance parties, guests are immersed in an underwater “fantasea” filled with whimsical pumpkin fish, sea-themed arts, interactive crafts and all the amazing animals that SeaWorld cares for. Halloween Spooktacular takes place from 12-8 p.m. on Saturday and Sunday. Disney rounds out the number one position for the number of injuries reported in the third quarter of the year with 12 people reporting a serious injuries. Disney injuries included four at the Magic Kingdom the guest that lost the finger tips in July at the Pirates of the Caribbean Ride. A women with Chest Pains at Big Thunder Rail Road. And two sick guest at Space Mountain. Hollywood Studios had four guests illness a 71 Year old man on the Great Movie Ride that lost consciousness . Two on the tower of terror from preexisting conditions and one man with chest pains on Star Tours. Two guest experienced loss of consciousness at Animal Kingdom. And rounding out Disney two at Epcot a 63 year old that fractured a bone on Nemo and Friends and one chest pains on Test Track. Universal had one employee injury at wet and wild that OSHA is still investigating. While having one guest get motion sickness Hollywood Rip Ride Rockets and a headache on The Simpsons Ride. The final Orlando parking reporting data is a migraine from Kraken at SeaWorld. Some of the harbor seals have packed their bags and moved in to the Wild Arctic attraction at SeaWrold. The seals will be moving in to and exhibit that used to house Johnny, the polar bear. He died in July of apparent complications recovering from anesthesia. SeaWorld will not be replacing Johnny with another polar bear due to the fact that it is more difficult obtaining polar bears because they are listed as a threatened species.